Horses’ diets tend to vary based on where they live in the country, and what season it is. And, depending on what type of climate you live in, there could be some dangerous things for your horse to be munching on right out in the field. If you pay attention to your horse’s diet and make sure he avoids a few key things, then he’ll be feeling great and performing even better for you. 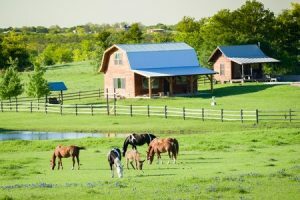 Deer Creek Structures has put together a guide filled with dietary tips for your horses; read on to learn more. Like any diet, there are a few key rules that you should always follow when it comes to your horse’s diet. You should always make sure to supply fresh water, maximize forage intake, keep an eye on vitamin and mineral intake, change feedstuffs regularly, and make sure your horse’s teeth are healthy and ready for chewing. Bran mash used to be a widely-accepted addition to your horse’s diet, but more and more barns are staying away from this particular item in recent years. Bran mash is a very different substance from what your horse normally eats on a day to day basis. Barn keepers back in the day used to feed it to their horses occasionally because it had a laxative effect. However, that effect is actually proof of your horse’s digestive system not tolerating the bran mash. If you must change up your horse’s diet because you’re traveling with him, or he’s having issues with his digestion, make any and all changes slowly and gradually: it’s important to not shock your horse’s system. Plus, bran mash just doesn’t have the nutrients that it was once thought to contain. If your horse is sick or too tired to have a normal appetite on any given day, try enticing him to eat with a carrot or an apple, rather than bran. Most horses can’t resist the flavor, but it wreaks havoc on their systems. Speaking of fruits, you might be tempted to let your horse snack on other items you have rolling around in the fridge, but remember: not all fruit and veggies are good snack alternatives for your horse. Things like avocado, broccoli, Brussel sprouts and some other veggies can give your horse a stomach ache and cause some digestive problems. Veggies that are okay to share with your horse include carrots, squash, celery, green beans and lettuce. And, most fruits are okay to share, too—just make sure you remove any seeds or pits. Too much grazing can trigger a condition known as laminitis, which is an inflammation in the foot where the soft tissue attaches the horse’s bone to the hoof. The inflammation can be very painful, and if it’s not immediately treated, it can lead to loss of use of your horse’s foot. Grazing can trigger laminitis because grass stores starches and sugars, and over-eating those starches and sugars isn’t healthy for your horse. Keeping you pastures mowed can prevent grazing, which will in turn prevent laminitis. And, it’s important to keep an eye on your horse and watch for signs of swelling in their necks or feet. If you notice these symptoms and suspect laminitis, consult with your vet right away. Grazing poses another unique threat to your horse: the presence of buttercups. While the flowers may seem harmless to you and I, the leaves and stems of buttercups contain ranunculin, which can cause a toxic blistering agent when they are crushed or chewed. Horses that graze in fields where buttercups abound can suffer from swollen lips and facial tissue, blistering in the mouth and face, and eventually, bloody diarrhea caused by the toxins building up in the horse’s digestive tract. Most horses don’t actually like the taste of buttercups since they are so bitter, so they may avoid them on their own. But if you don’t have much else to graze on in the pasture, a desperate horse may have a buttercup snack. Keep buttercups mowed, and make sure there’s plenty of other snackable grass for your horse to munch on. It can be hard for anyone to stick to a diet, especially if you’re not exactly sure how much food you eat during the day. 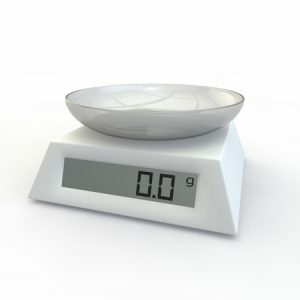 It’s the same for your horse, which is why weighing their food is necessary to maintain a healthy diet. A horse should typically eat between 1.5 and 2% of their body weight in dry matter each day. Weighing your horse’s food, and keeping an eye on their grazing, can prevent over or under feeding. For more tips and tricks on how to maintain a healthy diet for your horse, be sure to visit our blog frequently! And, call Deer Creek Structures today at 254-546-2276 to learn more about our custom-built barns, cabin and run in sheds!